If St. Petersburg is Russia's imperial crown, Moscow is its familial heart. It is a city in which one comes face to face with all that is finest and all that is most frustrating in Russia. The gregarious geniality of its people is as evident as the extreme tensions of a city coming to terms with the confusions of rapid social change. More than anywhere else in the country, it is in Moscow where the Soviet past collides with the capitalist future. Lenin's Mausoleum remains intact, but today it faces the newly chic GUM (pronounced goom), which is becoming ever more akin to Macy's or Harrod's. Yet, as the new Moscow emerges, it is becoming increasingly clear that any move into the future will be marked by a strong appreciation of the city's rich and varied heritage--a heritage that vastly predates the era of Soviet rule. Indeed, the most striking aspect of the city today is not Moscow's much-publicized embrace of Western culture but its self-assured revival of its own traditions. Ancient cathedrals are being restored and opened for religious services, innovative theaters are reclaiming leadership in the arts, and traditional markets are coming back to life. 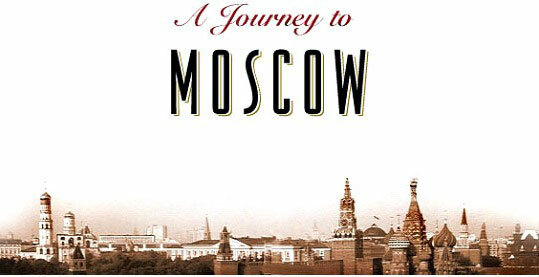 Moscow is once more assuming its position as the capital and mother city of the ancient state of Russia. First tribes appeared on the territory of the future Moscow in the neolitic epoch. The oldest settlments, dated as three thousands years before our era, were discovered within the area of the present-day city. In the second half of the first millenia of our era slavic tribes occupied areas near Moscow, these were "vjatichi", who are regarded as a kernel of the future Moscow population. The reference to a Moscow, as to a town, is registrated in the old manuscript of 1147. In 1156, prince Yury Dolgoruky erected timber walls around Moscow with a moat. He is frequently regarded as a founder of Moscow, and his monument is among the most honored in Moscow. Tatar-mongolian invasion in 1237-38 produced a great destruction of Moscow. However, Moscow recovered rather rapidly (in the second half of 13 century), and became capital of the independent Moscow principality. During the 14 and the first half of 15 centuries Moscow was a relativly large city with big industrial/trade population. In the end of 15th century, during Ivan III princing, Moscow becomes a capital of Russia. Moscow Kremlin , that was built in the beginning of the 15 century, is a benchmark of that epoch. For the purpose of improving the defence of Moscow and of its inhabitants, a number of defence buildings and big closters, like Novodevichy - from south-west, Donskoy and Danilovsky - from south, Simonov and Novospassky - from south-east and Andronnikov - from the east, were constructed. Development of commerce and trade served impetus for new advance in the science and arts. So, a number of fundamental manuscripts (like "Domostroy", "Stoglav"), great architectural buildings (like "Kremlin" and "Pokrovsky chirch") and the first Russian printed book - "Apostol" by Ivan Feodorov were created. Moscow has been attacked by Polish-Lithunian army in 17th century and was conquered by them.Then salesman Minin and prince Pozharsky organized people's militia, and Moscow was liberated in 1612. During the reign of Peter the First, arts and science in Moscow , and in Russia in whole, progressed strongly. In 1755 Moscow University was opened, in 1703 the first printed newspaper appeared. Moscow architecture reached its peak level of perfection in the second half of 18th century due to advanced Russian architects V.I.Bazhenov (Pashkov's house, M. F. Kazakov (Senat bilding). In 19th century Moscow remains an importantly political, govermental and economical centre . During French innvasion Napoleon said: "If I'll capture Kiev, I'll take Russia by it's feet, if I'll capture Petersburg, I'll take it by it's head and if I'll capture Moscow, I'll destroy it's heart". Folk army has been organized in 1812 to withstand the French invasion, and a famous Borodino battle took place in August not far from Moscow. This battle is thought to be a prerequisite for the victory in the War, although the battle itself was more a failure than a victory. Moscow was left to Napoleon's troops, but before that it was burnt by moscovites almost entirely. Fires and hunger compelled the French army to leave Moscow, where the Russian army entered very soon - in October. After the liberation of the city a commission was authoritized for Moscow reconstruction after the fire, and talented architects were its members (Beauve, Grigoriev). The present-day appearance of Moscow centre was founded in those times. Thus, Alexandrov Garden , Theatre Square appeared with Bolshoi and Maly theatres, as well as the buildings of Manezh and the First gradskaya hospital. A new manner of living became usual in Moscow after its reconstruction. Earlier, at the turn of the centuries Moscow was a feudal town, whereas after the 1812 it lost features of the aristhocratic town and acquired those of a bourgeois one. To the end of the 19 century it became the second industrial centre in Russia (after Saint-Petersburg), partially due to the rapid growth of railway communication. A first telegraph line was constructed in 1852, it connected two Russian capitals, and the town railway with horses ("konka") started operating in 1872. In 1867 gas illumination of many streets has been initiated, and the first electric lanterns appeared in Prechistenka gates in 1883. First telephone lines were organized between Moscow and Petersburg in the late 90-ies. The XIX century is known to be a "golden age" for arts and science, and Moscow was a birthplace for many famous artists, writers, painters and scientists; a number of outstanding politicians were also moscovites. You are, of course, familiar with the following names, whose talent and ideas made the glory of Russia: Pushkin, Gogol', Tolstoi, Chekhov, Herzen, Pirogov, Sklifosofsky, Vasnetsov, Serov, Levitan and many others. Communistic ideas of Karl Marx became popular in Moscow, they were studied in secret meetings by workers and intelligentsia, who became very enthusiastic about them and organized revolutionary groups. Their activities resulted in a series of rebellions, one of them was mentioned frequently as a most successful - Krasnaya Presnya rebellion of 1905. July strikes of 1914 were the next conspicuous stage in the revolutionary process, which was finalized by the February and the "Great October" Revolution of 1917. The new government was headed by V.Lenin and the capital was again transferred from Petersburg-Petrograd to Moscow. The Soviet Union was announced December,30, 1922 by the All-Russia Communist Party of Bol'sheviks (VKPB) and Moscow became it's capital. The social structure of Moscow inhabitants started to change in the 20-ies on the account of peasants leaving their villages in search of job and "new life"; later on the most poor part of population came to Moscow as non-qualified workers on factories and in house building. Thus, the percentage of workers living within the Garden Ring (central region) increased from 5% to 45% during this first decade. Hence, Moscow architecture changed: the proportion of blocks inhabited by workers increased drastically, the city sprawled outside, many churches were destroyed or transformed into "Palaces of Culture", clubs, stores for vegetables or for building materials. The most active construction of living blocks was initiated by Niklita Khruschev in the 60-ies, and many families moved from extremely overcrowded multi-family apartments, where more than 5 persons were living in one small room to individual, although small apartments. They were constructed quickly to meet the urgent demands, and, therefore, they are far from being beautiful and diverse. THE BEST OF ST.PETERSBURG WITH THE BEST GUIDES Professional licenced tour guides. Individual and group tours, tailor-made itineraries. Flying has never been so affordable! Now you can save up to 65% on cheap flights to Los Angeles year round. Welcome to St. Petersburg, Russia. St. Petersburg Airport Hotels offers great rates on hotels near St. Petersburg Airport.